A skydiver, hiker, pilot, teacher, and freelance writer watches migrating birds and remembers important moments and people in her life. 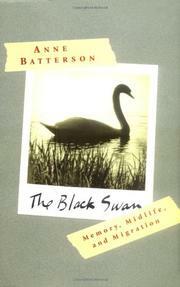 “I have always known a wild bird lives inside of me,” writes Batterson, explaining the wanderlust that periodically compels her to visit the far reaches of the globe, to jump from airplanes in thunderstorms, to leave her husband and other quotidian commitments to be alone with her thoughts, her battered VW bus, and her humming laptop. Batterson can dazzle with her adventurous and usually intrepid spirit. Although her memoir floats on the surface of a recent road trip she took to see large bird migrations (especially in Pennsylvania and Kansas), she is more interested in what lies beneath. Like nesting dolls, her narratives sometimes contain flashbacks within flashbacks. And so we learn about her first solo flight, about a youthful cross-country drive, about “punching a cloud” with a fellow skydiver, about trekking in Nepal. On her journey she visits old friends and family—and takes a few potshots at her first husband (“Some holiday he was,” she declares with heavy irony). We learn about her friends Ben, who left his family for five years; Lee, murdered in the woods; Rachel, whose lover died of cancer and who has now taken into her life a homeless Vietnam vet whose behavior is ominous, to say the least; and daughter Anee, a struggling artist in New Mexico. At times, Batterson works both too hard and not hard enough. Some sentences groan with the weight of too much metaphor and self-conscious lyricism. And she frequently fails to moderate what can be an unpleasant tone of self-congratulation. (We are treated to two poems that celebrate her.) Yet the final segment (about the rescue of a black swan) is truly powerful: here, she does not overburden her narrative with platitude and attitude. When the intent is not to elicit our admiration, the effect can be striking.